Single "Snapshot" scan sensors that use structured light for full-field inspection of stationary objects. The smart 3D sensors feature a compact, industrial housing ideal for industrial applications. 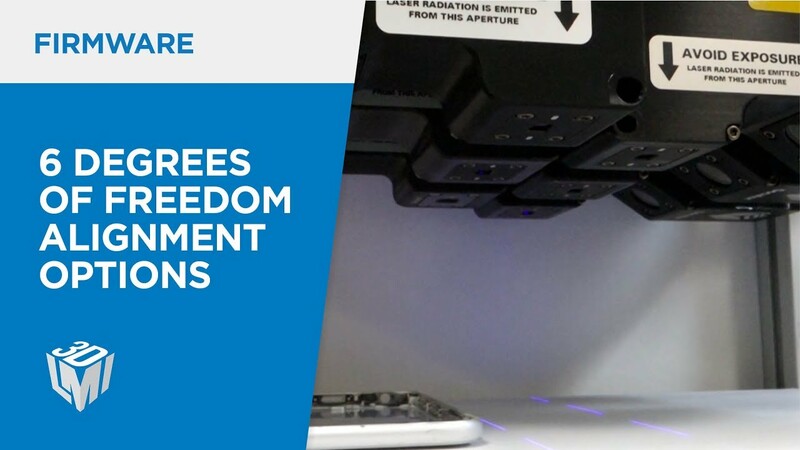 The structured blue light and stereo scanning technology provide reliable and repeatable data thanks to high ambient light immunity even in challenging lighting conditions. 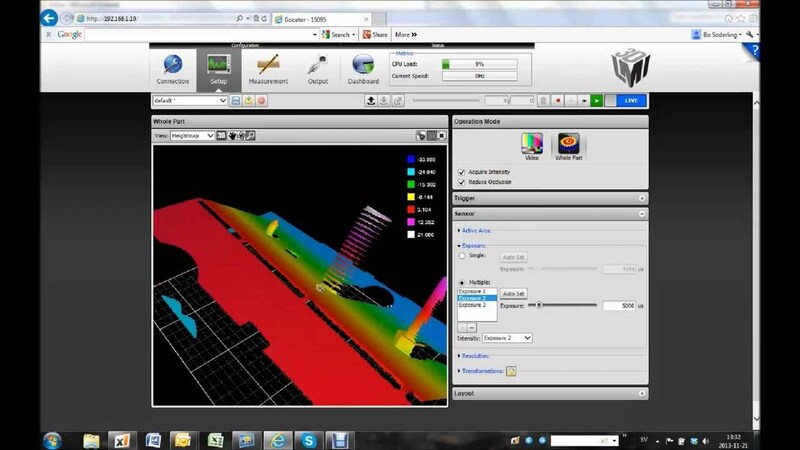 By capturing 3D clouds of points the system is capable of high resolution measurement in many non-contact online inspection applications using built-in measurement tools. 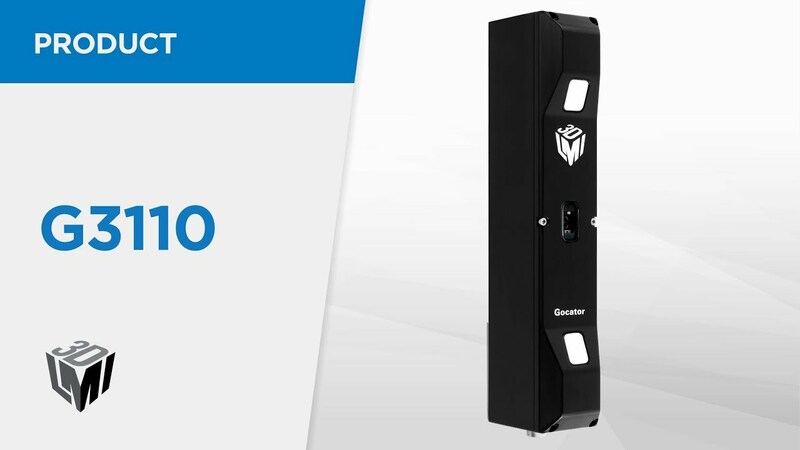 The LMI Gocator 3100 is a 3D stereo snapshot sensor for machine vision applications. 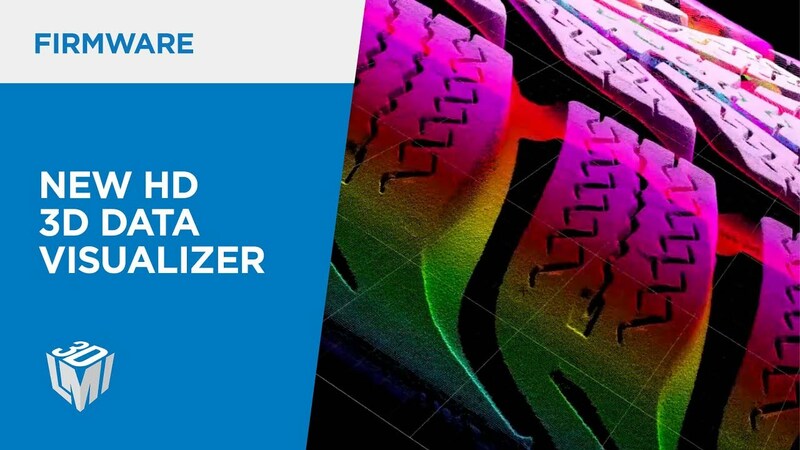 STEMMER IMAGING shows how it can be used to measure parts or to recognize braille. Introducing the Sectioning feature in LMI Gocator Firmware 4.4! 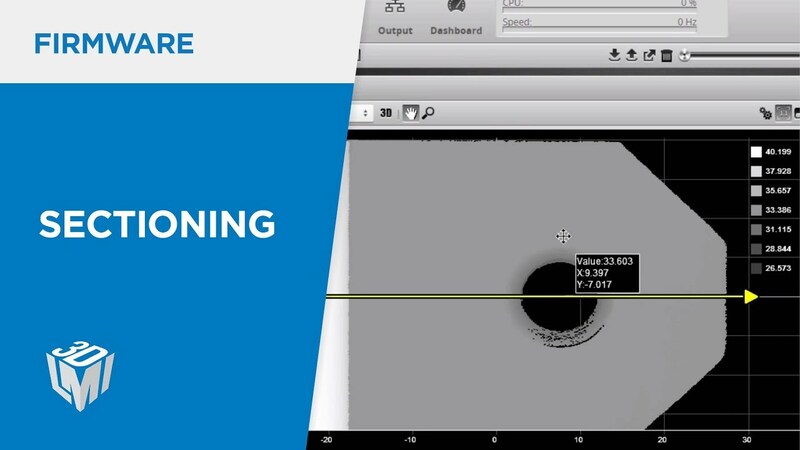 Watch this short instructional video to learn how Sectioning allows you to define a cross-section from a 3D model of a part in Surface Mode, then perform advanced 3D measurements on that section. Sectioning is ideal for leveraging the existing profile tools and is a significant addition to Gocator firmware's functionality. The sensor’s 2/5-megapixel stereo camera provides accurate, full-area measurements suited for analyzing many features at once with a single exposure. 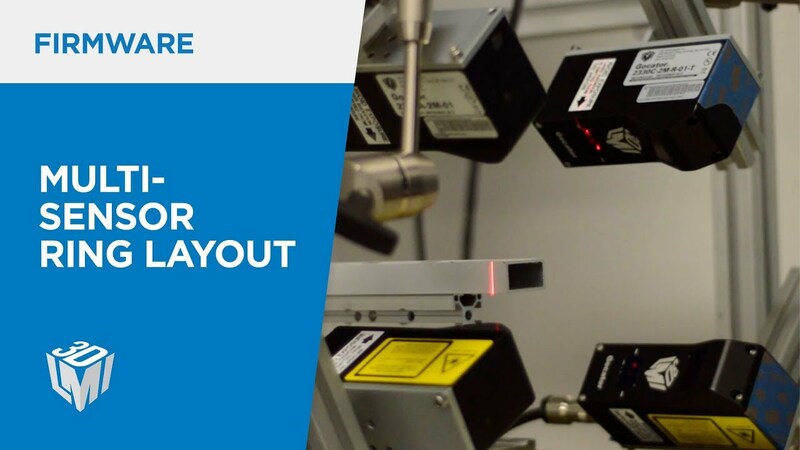 With snapshot sensors, the target is stationary during acquisition effectively minimising the cost of expensive motion system components (such as encoders) and the associated errors due to vibration. The sensor’s LED light source makes it easier to work with than lasers. The bright LED and industrial design provide shorter exposures so you get measurements faster with an expected lifetime of up to 10 years of continuous operation.